Alicia Keys released her killer single "In Common" earlier this year, then invited Kanye West and Travis Scott to jump on it for a remix. 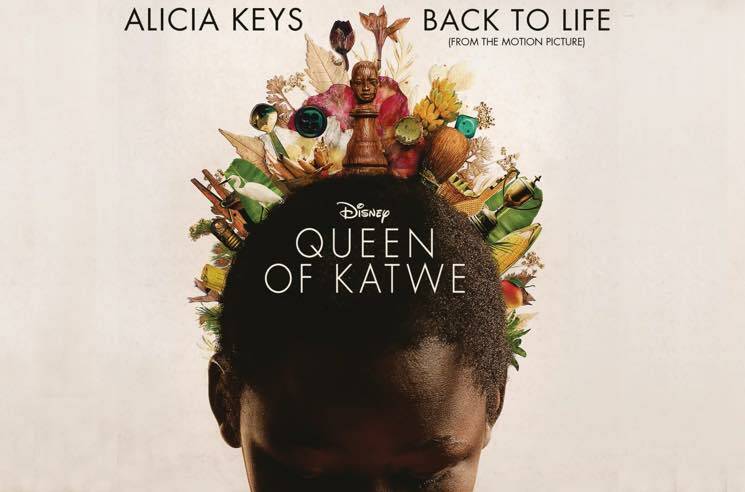 Now, she's released a totally new track called "Back to Life," and it comes from the upcoming Queen of Katwe soundtrack. The film tells the story of Uganda chess champion Phiona Mutesi, while the song itself channels a cinematic feel with sparse instrumentation and breathy vocals from Keys. It picks up tenfold midway through, though, when the drum beat kicks in and gets matched with bubbling synths and booming bass. The film is slated to premiere at TIFF next week, but in the meantime, you can listen to "Back to Life" down below.